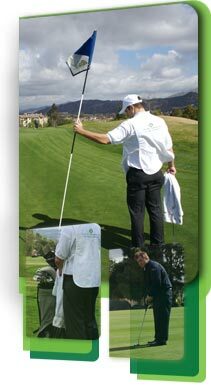 "No matter big or small, Caddie Connection will be my first choice in ensuring my outings will be the most enjoyable. " Have you ever been watching the latest PGA event on television and seen your favorite golfer receiving expert advice from their caddie? Ever wondered how you could experience golf the way that it was meant to be played, with an experienced, professional and knowledgeable caddie? Well now you too can take part in full service golf with The Caddie Connection! At The Caddie Connection, we place trained and reliable caddies with golfers at courses in many states around the country. We cater to golfers of all skill levels and offer two distinct and affordable caddie services that will suit the needs of all players. Playing tomorrow and haven't booked your caddie yet? No problem! At The Caddie Connection, we can place caddies with golfers in as little as four hours notice OR months in advanced.